“The show about nothing” is halfway to a Zen koan as it is, but LJ Frezza’s masterful Seinfeld remix, Nothing, really captures the existential unease lurking beneath the surface of the popular ’90s sitcom. The concept is simple—Frezza describes the video as “scenes from Seinfeld (1989–98) where nothing happens. A supercut of empty shots. A New York without people.” But the execution takes what could be an exercise in tedium and raises it to the level of art. At first, Nothing is funny. That distinctive Seinfeld slap bass jerks from clip to clip like a free jazz ensemble on PCP. 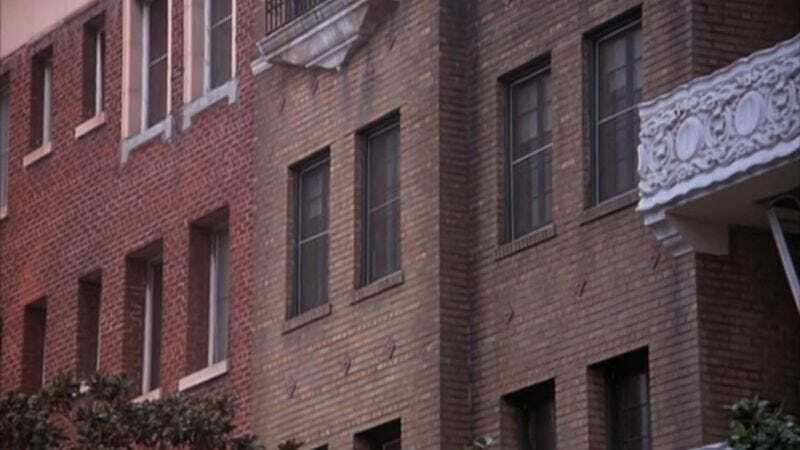 We see Jerry’s apartment, Elaine’s office, Jerry’s apartment again. The laugh track builds, the amusement of ghosts in an empty landscape. Then the music fades. The laughter does too. We are left with empty spaces. Empty parking garages, empty streets, empty office buildings. At first, the occasional siren or nervous titter breaks the silence, but that too fades away. A clock on the wall elapses from 9 to 5. A hospital bed sits empty. Doors hang open with no one to close them. A phone is off the hook, but it doesn’t matter. There’s no one to call. From nothing we came, and to nothing we must inevitably return.